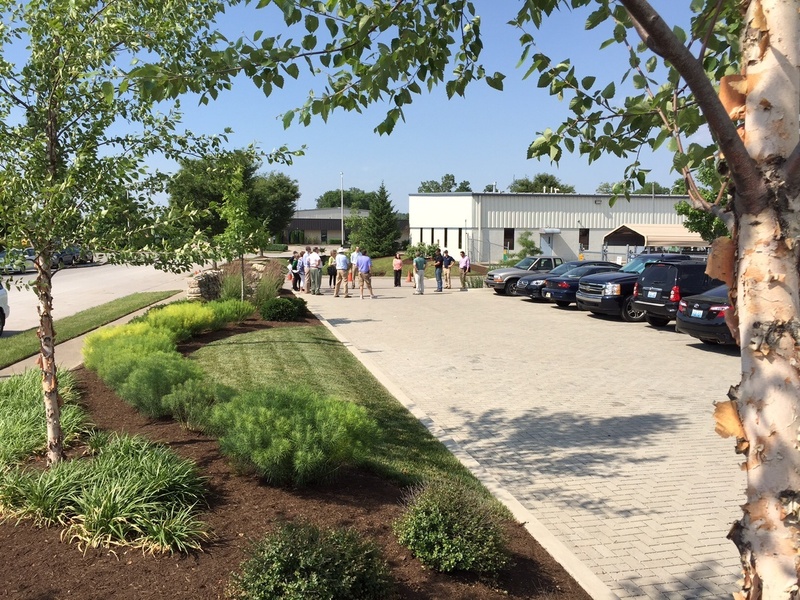 We like to think of implementing green infrastructure as getting the landscape to work for you. GI projects are a promising solution to many urban environmental, social, health, and commercial issues (including flooding, urban blight, poor air quality, urban heat island related deaths, and many more) and can be implemented on varying scales. And while green infrastructure is gaining in popularity around the country, some common misconceptions and barriers prevent its wider application. Price – Many times the initial cost is greater for green projects than a gray infrastructure solution. However, the lifetime cost of GI is almost always cheaper than that of existing gray systems. Unfortunately in most cases, lifetime costs are typically not part of the decision-making process. Funding and valuation of GI can therefore be a significant barrier to implementation. Complicating matters further, adequate funding is frequently not committed for upkeep and long-term maintenance. But underfunding is a problem for both green and grey infrastructure systems. This is where GI again proves its worth through resiliency. Green infrastructure systems are not prone to 100% failure the same way grey infrastructure fails when not properly maintained. Conflicting Interests – Sometimes it’s simply a matter of personal preferences guiding the decisions. Not everyone likes trees and the work that goes along with them: they block the view, create too much shade, and drop leaves which need raking. Construction Techniques – Problems often arise when construction practices conflict with GI. During the excavation phase, workers frequently remove topsoil as part of site prep and compact the surrounding soil with heavy equipment. Some even bury construction debris on site. All of these factors conspire to discourage the health and growth of the new or existing plants. Overall poor soil quality requires major improvement before it will sustain a living landscape, adding to total expenses. Environmental Justice and Inequality – These types of projects are being done largely in well-to-do areas, and the parts of our cities that really need GI the most are those that have the least amount of it. Many neighborhoods around the country are not waiting for the government or outside investment, but rather are initiating change at the grass roots level. Community gardens are gaining ground in urban areas and providing residents with food while creating little zones of green infrastructure. Environmental benefits – Green infrastructure is a natural, life-sustaining approach to urban development. 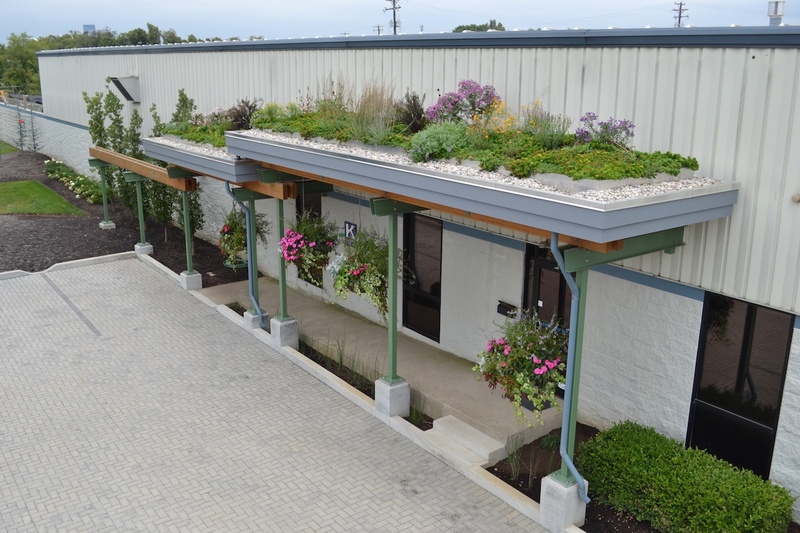 The environmental benefits of GI projects such as green roofs, permeable pavement, rain gardens, and green spaces are well-documented and have beneficial effects on surface and ground water, air quality, wildlife habitat, and noise pollution. Ultimately, this leads to improved human health. Social benefits – Many municipalities are exploring the use of GI to help solve urban issues. 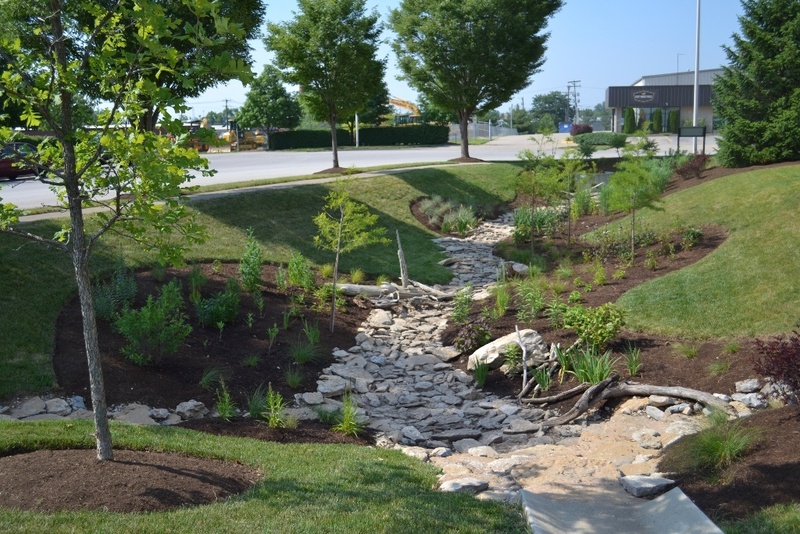 For example, Lexington Fayette County Urban Government (LFCUG) has implemented green infrastructure by expanding the city’s overall tree canopy and projects like the Town Branch Commons. This functions to decrease the urban heat island effect and improve human health. As green space increases, crime and domestic violence rates decrease. At the same time test scores and graduation rates increase. Even hospitals benefit through quicker recovery times, fewer pain meds needed, and lower readmission rates. Public relations benefits – Companies show they care about their local communities by investing in visible ways. One example in Kentucky is Reforest the Bluegrass. 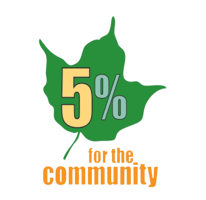 Klausing Group is also committed to making our community greener by giving back 5%. This defines one aspect of corporate responsibility and helps build strong brands with positive relationships with their communities. Property values – Trees and other GI elements have been proven in study after study to improve both residential and commercial property values. It also reduces vacancy rates. Future-thinking city and corporate planners are positioning green infrastructure and design as a considered decision and a wise investment. The payoff to future generations could be priceless. For example, a study conducted by UC Davis found that the benefits received over time from installing permeable pavement resulted in cost savings while also improving water sustainability on campus. One important consideration when determining lifetime costing is to assess hidden costs associated with different infrastructure approaches. For example, a green roof may initially appear to be more expensive. However, when you take into account the increased life expectancy of the roof as well as the energy savings associated with a green roof, it often emerges as the more cost-effective solution with a rapid return on investment. For those who need more proof, researchers continue to amass evidence proving the effectiveness and value of green infrastructure. And while cost is still a common barrier, many communities are finding ways to implement GI—whether on smaller scales or through innovative approaches to budgeting and financing—and are experiencing the benefits both in cost savings and human health. Klausing Group is well known as a leader in the green infrastructure design space in Kentucky. To learn more about how we can help you get your landscape working for you, contact us here.